What does it mean to be human? If machines can think and feel, are they really machines? What’s real and what’s fake? Blade Runner posed those loaded questions way back in 1982. 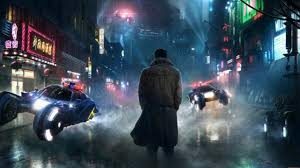 The neo-noir thriller, about a Los Angeles detective (Harrison Ford) who hunts down synthetic “replicants,” was groundbreaking for its dystopian, philosophically rich narrative set against remarkable visuals. A dense puzzle at the time, the film is now considered a masterpiece. (Fun fact: I studied it in a college intro to film class. Ask me later about how it started the cyber-punk movement.) The ambitious — and highly unlikely — sequel doesn’t top it. Nonetheless, the journey to that conclusion is nothing short of stunning. Blade Runner 2049, set 30 years after the original, chews on the same thematic material and expands on it. Arrival director Denis Villeneuve, taking over for Ridley Scott, purposely delivers haunting, enigmatic answers. (You did see Arrival, right?). The rather simplistic detective story has turned into a mythology of evolution and revolution, life and death. Unlike the original, there’s no voice-over to fill in the blanks; audiences must do it for themselves. The result is a sci-fi $150-million-budgeted film that feels like a spiritual journey — with the dreamy effects to match. I expect some debate as to whether a Blade Runner viewing is necessary before diving in to the followup. I’ll make it easy: YES. Not just because it still holds up; because the 2.0 can’t be fully appreciated or enjoyed or, frankly, understood, without the proper context. Trust me. This is a sequel, not a reboot. The Blade Runner 2049 trailers don’t sell it correctly either. The world is not at stake in some flashy, fast-paced sci-fi extravaganza, as this is a thinking person’s blockbuster. (Again, did you see Arrival?) 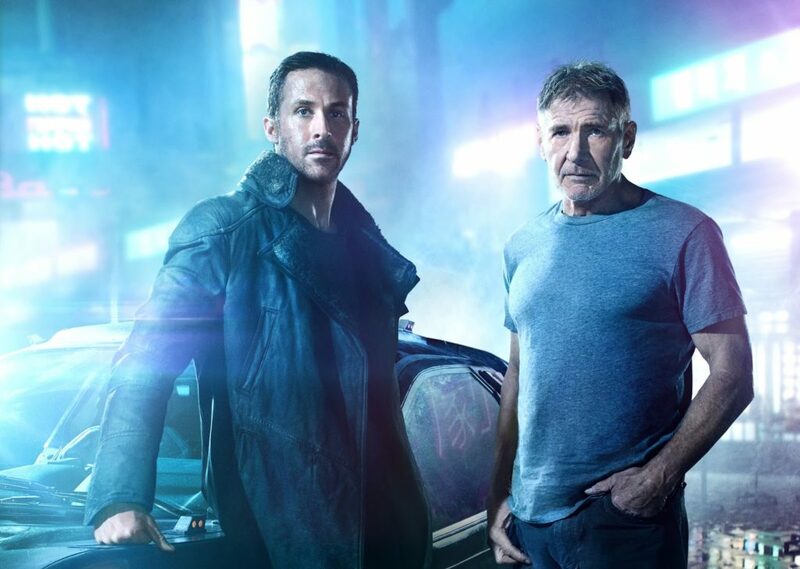 And despite Ford’s reprisal of the hard-wired Rick Deckard, this movie belongs to Ryan Gosling. Just like Deckard, Gosling’s K is a blade runner in Los Angeles. His job is to hunt down and “retire” (i.e., kill) old-school rogue replicants, despite the fact that he’s one himself. “How does it feel, killing your own kind?” he’s asked by a rebellious former robot solider (Dave Bautista) in an early scene. Except he’s not exactly like them. K is part of a new breed, which don’t run or lie. He’s loyal, obedient. Still, our hero is leered at by humans and replicants alike, save for an attractive artificially intelligent hologram (Ana de Armas) waiting for him at home. Kind of like Scarlett Johansson in Her. One day on the job, K discovers a crate buried deep beneath the earth. It’s filled with the bones of a woman who died during childbirth decades earlier. The woman was a replicant. Uh-oh. This disturbs the natural order. K’s lieutenant boss (Robin Wright, underused) orders him to wipe out any trace of this ever happening. If he can track down the child, he must kill it. His mission eventually leads him to Deckard, who’s been in hiding for 30 years. This is Ford’s strongest performance in years, and the role requires him to emotionally and physically nimble. His appearance isn’t fan service, a la Star Wars: The Force Awakens, either. He’s crucial. Due to a 2-hour-and-45-minute running time, there’s obviously lots more plot where all that came from. You’ll be able spot most of the twists, emphasis on most. Since the original, we’ve all been weened on the brain-bending, body-melding delights Total Recall, Terminator 2: Judgment Day, A:I Artificial intelligence, Ex_Machina. It’s no longer a seismic shock when a human turns out to be an android and vice-versa. Jared Leto, the industrialist running the corporation responsible for manufacturing the new replicants, is a stock bloodless villain who drones on about angels. Despite the saturation of androids/holograms/replicants in every corner of the frame, I kept waiting for Blade Runner 2049’s beating heart to kick in. This is a perfunctory screenplay at best. But, oh, what a world these humans and replicants occupy. Legendary cinematographer Roger Deakins provides a spellbinding (and award-winning), fully imagined aesthetic that communicates the storytelling. Gone is the 2019-set garish neon. The 2049 version of downtown Los Angeles is a bleak, dark-grey smog cloud where Coca-Cola, Sony and Pan-Am still advertise its brands. Chunks of ash rain down on the elegant, sleek buildings. (At least the world still exists, yay?). The dusty orange remnants of Las Vegas, meanwhile, Mars in The Martian. Like 99 percent of sequels, Blade Runner 2049 isn’t necessary. In franchise terms, this is not a unicorn. We’ve already gone 35 years letting Scott’s adaptation be a self-contained forbearer of modern sci-fi. And yet, given the expectations, Villeneuve’s vision is a work of wonder that stands alone as a breathtaking, non-conformist achievement. Score a big point for the humans. « Why the Uninspired ‘Flatliners’ Remake Will Likely Be D.O.A.